An extended 3 bedroom home presented to a good standard throughout. Offering spacious living room, open plan family/dining area & kitchen, re fitted bathroom. generous rear garden, driveway & garage. Walking distance to train station and local amenities, available now. A well presented three bedroom family home situated in this convenient location for easy access to Town Centre and Apsley train station.Benefiting with spacious living room and kitchen, two doubles and one single bedroom, driveway parking and rear garden. Available middle May. Available January 2018. A three double bedroom family home conveniently situated for town centre & Aplsey train station. The property offers spacious living accommodation, master bedroom with en suite, two further double bedrooms, bathroom, cloakroom, driveway parking and landscaped rear garden. An immaculate & beautifully presented family home. Offering spacious open plan re fitted kitchen/diner & family room area, living room, WC, 2 further rooms, 3 double bedrooms & re fitted bathroom. Ample driveway parking & generous landscaped rear garden. Easy access to M1 & amenities. A spacious three bedroom family home with front & rear garden. Ideally situated for local schools, train station and amenities. Available beginning of August 2017. A spacious and well presented two double bedroom split level apartment situated in this popular location of Boxmoor. The property offers a living/dining room, kitchen, two large double bedrooms and bathroom. Conveniently located for Hemel Hempstead town centre and train station. Available now. A spacious 2 double bedroom apartment situated in this desirable location conveniently positioned to be able to walk to HH train station, amenities, canal walks & open fields. Generous kitchen/breakfast room, living/dining room with balcony, modern bathroom, communal garden & ample communal parking. A well presented two double bedroom house overlooking a green within walking distance to the high street. Offering spacious hallway, living room, modern kitchen/diner, landing, generous double bedrooms, bathroom, WC, rear garden and communal parking. Approximately 10 minute drive to train station. A two double bedroom ground floor apartment presented to a high standard throughout with private rear garden and allocated parking. The property is in good decorative order and benefits from a re fitted kitchen and bathroom. 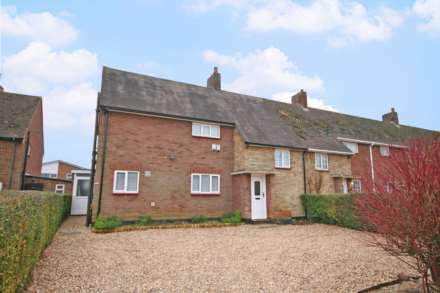 Within walking distance to Tring High Street. Available end of March 2019.